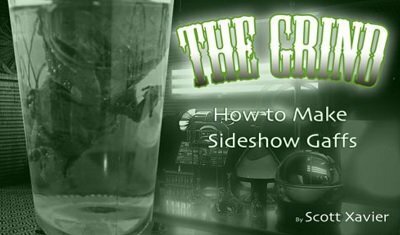 A new ebook developed to guide the home hobbyist into creating professional museum quality sideshow props. You will learn numerous steps to creating lifelike figures. Skin, ears, eyes, its all about the detail! From an alien fetus in a jar to a mermaid, you will be able to create realistic detailed exhibits and you will learn how to display them for maximum effect! All these skills were developed after several years touring with a grind show museum.